Jemez Spring captivates artists and creative types who find inspiration in its natural and cultural beauty. From plein air painting to live music, the village hosts many special and annual events where live music, art, crafts and good ole’ fashion fun attract visitors and locals alike. Live music by local bands can often be heard in the historic Los Ojos Restaurant and Saloon on a weekend night. Hummingbird Music Camp just a few miles north of Jemez Springs, along Highway 4, offers music camps for kids and teens ages 8-14 years old during the summer. When it comes to creativity, there is no better place than Jemez Springs from which to draw (or paint) inspiration. 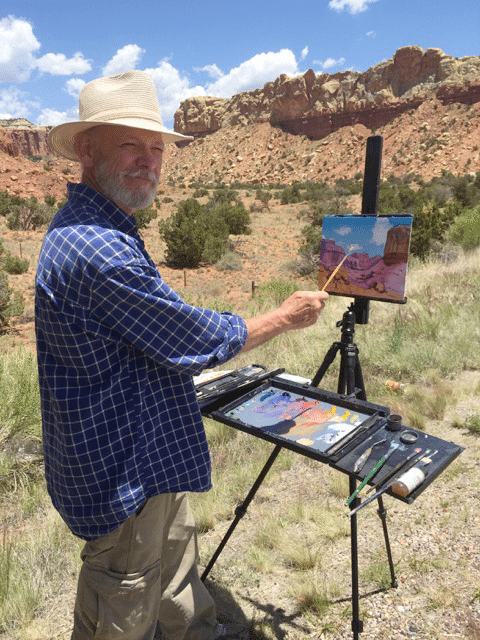 The Jemez Valley is rich in colors – from the warm terra cotta hues of the Jemez Mountains to the cool blue hues of the sky and palette of earthy colors along the way – artists’ interpretations of Jemez’ natural beauty can be found in many mediums. Take a piece of Jemez Springs home with you at one of several galleries and studios. Local galleries include Jemez Fine Art, featuring mixed media by local artists, and Jemez Artisans – a co-op of local artists offering handmade works of art and crafts. Jemez Mountain Pottery features Raku pieces, sculptures and stone ware pieces by artist Linda Vozar Sweet. And, just seven miles south of Jemez Springs, Shangri La West Gallery sells antiques along with Jemez Pottery. In Jemez Springs, inspiration is easy. Deciding where to put all the amazing art you’ll bring home is the hard part! Local artists offer their fine art for sale. Visit their website for more information. Sculpture and ceramics by artist Linda Vozar Sweet, storefront on Hwy. 4 near Mission St. Call ahead for hours. Resort and spa featuring indoor and outdoor works by Native American and contemporary local artists. 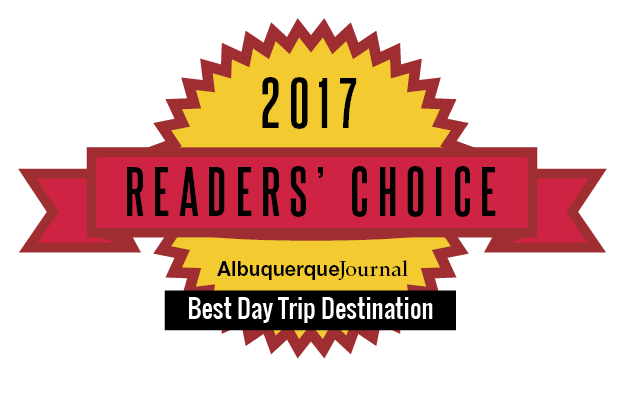 Antiques, gifts and a large gallery of fine Jemez Pottery. Call or visit website. A co-op of local artisans offering their arts and crafts for sale. Hot springs with indoor gallery, jewelry and oil paintings by local artists.